Marilyn Annette Dean Zacher Wood Hiers, age 81 of Baxley, passed away Sunday, September 2, 2018 at Appling Healthcare System. Mrs. Hiers was born October 2, 1936 in Appling County to the late Dudley Adonis Dean and the late Sadie Marie McNeal Dean. She was a member of First Baptist Church and loved to fish, read, play cards and loved her family. Mrs. Hiers was a hard worker and her main goal in life was to make people laugh and smile with her wonderful ability to tell jokes. She was preceded in death by her husbands, James Wilbur Zacher, Alvin Hunter Wood, Sr. and James A. Hiers; her brothers, Elwood, D. A., Red, Stanford, and Van Allen; and her sister, Lois Marie; step son, Alvin Hunter Wood, Jr. and a step grandson, John Franklin. Survivors include her daughter & son in law, Lanette & Rev. Joe Ferguson of Baxley; sons & daughters in law, J. Darrell Zacher of Clemson, South Carolina, Leslie & Sandy Mier of Daytona Beach, Florida & Butch & Denise Wood of Baxley; step daughters, Marie (Alan) Gillingham of Baxley & Suzanne (Bobby) Franklin of Dawsonville; step daughter-in-law, Ann Wood of Baxley; sisters, Carolyn Watson of Fernandina Beach, Florida, Sandra Turner and Sonja Crews both of Baxley & Jennifer Snyder of Jacksonville, Florida; brother, Randy Dean of Staten Island, New York. Grandchildren, Amy Carter, Josh Zacher, Dara Zacher, Tonya Garner, Tracie McLean, Justin Harper, Austin Music, Dalton Music, Clay Ferguson, Lacy Washburn, and Tiffany Mier & step grandchildren, Rob Williford, Melissa Hester, Russ Franklin, Tate Wood and Shan Thomas and great grandchildren, Erica Carter, Alysa Carter, Dawson Zacher, Carson Zacher, Bryson Bracewell, Brogan Tomberlin, Ava Wilmore, Khalil Wilmore, Luke Lightsey, Ames Garner, Joshua McLean, Kirsten McLean, Torah McLean, Harley Harper, Haley Harper, Parker Jo Washburn & Chandler Washburn and several step great grandchildren also survive. Funeral services will be held Thursday, September 6, 2018 at 11:00 AM at First Baptist Church with Rev. Joe Ferguson officiating and a eulogy by Lanette Ferguson. Interment will follow in Ten Mile Creek Baptist Church Cemetery. 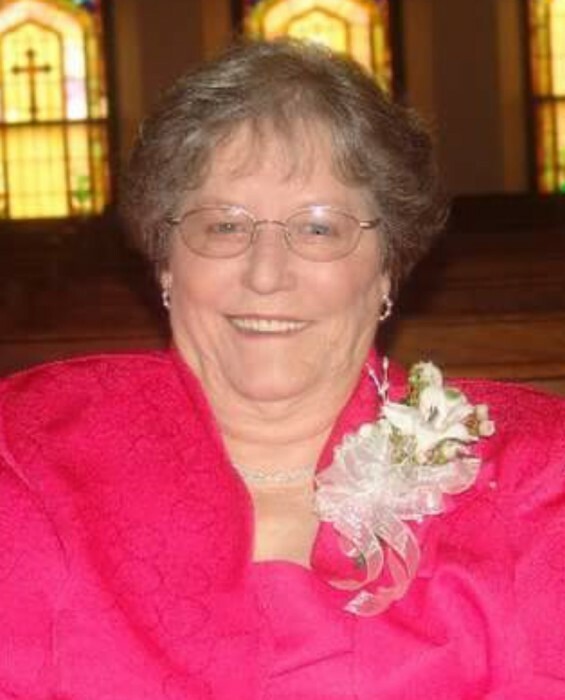 Mrs. Hiers will lie in state one hour prior to the funeral service at the church. Visitation will be held Wednesday evening 6:00 until 8:00 p.m. at Swain Funeral Home. Active Pallbearers will be Logan Zacher, Joshua McLean, Clay Ferguson, Brad Disharoon, Doug Whitley, Dexter Whitley, Kenneth Floyd, Dusty Disharoon & Shane Disharoon. Honorary Pallbearers will be the B Hall nurses at the Pavilion, Betty Shipes, Cathy Railey and Toni Barber.